At One Heart, we believe that every Christian is called to be a missionary. In fact, as Christ’s followers, we are missionaries by design simply because we are indwelt by His Spirit, and His heart compels us to complete the work He started. As His HEART (Hands Extended and Revealing Truth), Christ is relying on us to reach the world around us – locally and globally – with the truth of His saving grace. 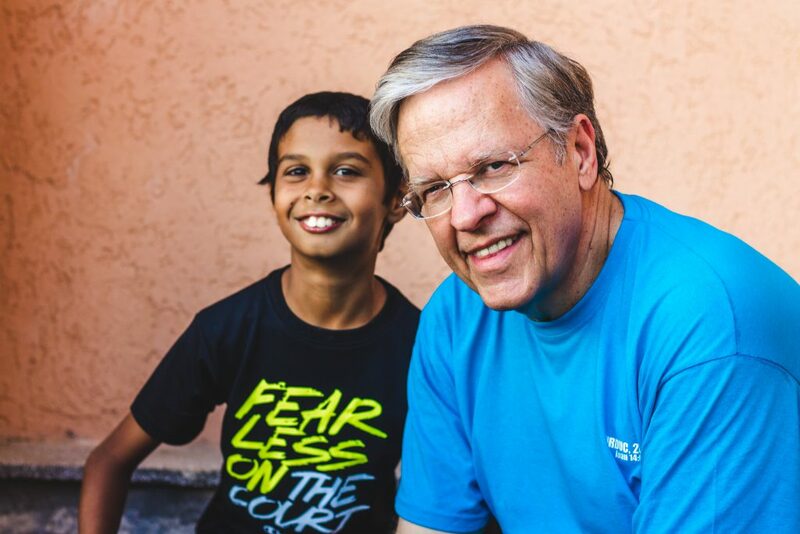 As a Missions Ministry, we are committed to pursuing Christ’s passion for reaching the lost and ministering to those in need. Currently, our church partners with several local ministries and our members support them through service projects, volunteer time and material donations. In addition, we have strong relationships with churches in several countries including Romania, Ukraine, Argentina, Guatemala, Tanzania, Honduras and Italy. One Heart members make yearly short-term trips to these locations and God continues to move in mighty ways! For more information about missions opportunities, contact Chester Whisonant, Missions Pastor. 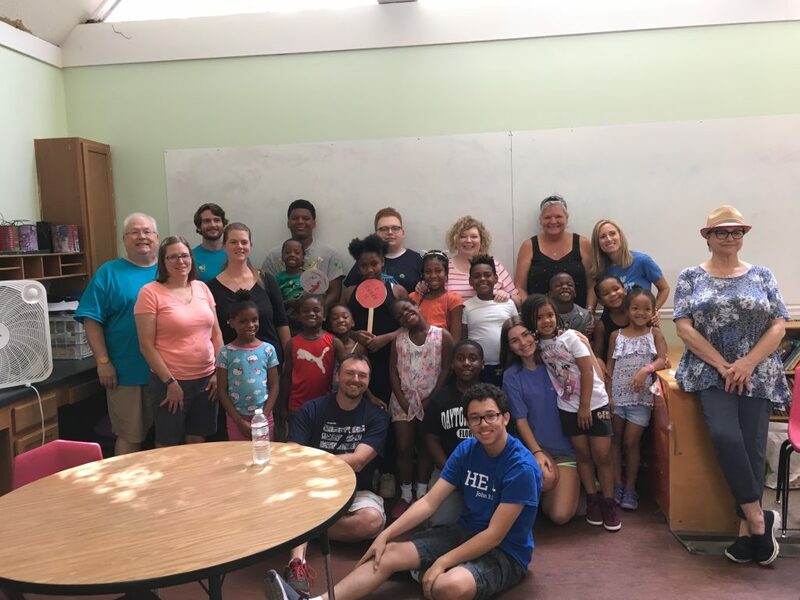 One Heart Church has developed partner relationships with several local missions organizations, which are characterized by ongoing, abiding, and reciprocal commitment. Below are brief descriptions of each organization. If you are interested in how to become involved with any of these groups, contact Missions Pastor Chester Whisonant at chester@oneheartchurch.org. In 2017 the Atlanta Pregnancy Resourse Center (APRC) joined forces with and became the Human Coalition. The Human Coalition is a collective of individuals bound together in answer to a common call: to do all we can to remove the stain of abortion from America. We are change agents—not simply because we are against abortion but because we are for life. NCM is a faith-based, non-profit, ecumenical ministry dedicated to providing emergency assistance to families in Norcross and surrounding areas of Gwinnett. It is supported by 23 local churches and numerous other organizations. They are always in need of helping hands in the areas of counseling, job training, sorting clothes & food, and children’s programs. Live the Promise is an extension of Project 686, and works to mobilize churches and families to care for foster children. The goal is to radically increase the overall number of foster families welcoming children into loving homes. Their plan engages and equips churches to raise up loving foster families and volunteers, committed to caring for foster kids, until there are more than enough families. Brett & Ann North founded Tetelestai Missions on the conviction that God has called each Christian to serve as a missionary. Believing that there are no boundaries to this calling, they focus on both local and international projects. These efforts are connected to jail ministry, nursing home ministry, and global missions. Gilgal, Inc. is a Christ-centered residential program for homeless women with drug/alcohol addictions. Their goal is to assist women in breaking the cycle of defeat that led them to drug & alcohol abuse, and replace it with a cycle of victorious living through Christ Jesus. Good News Club is a ministry of Child Evangelism Fellowship in which trained teachers meet with groups of children in various places in order reach out to these school children. Each week the teacher presents an exciting Bible lesson using colorful materials and action-packed fun. The purpose of this ministry is to evangelize boys and girls with the gospel of Jesus Christ and establish them in the Word of God and in a local church. 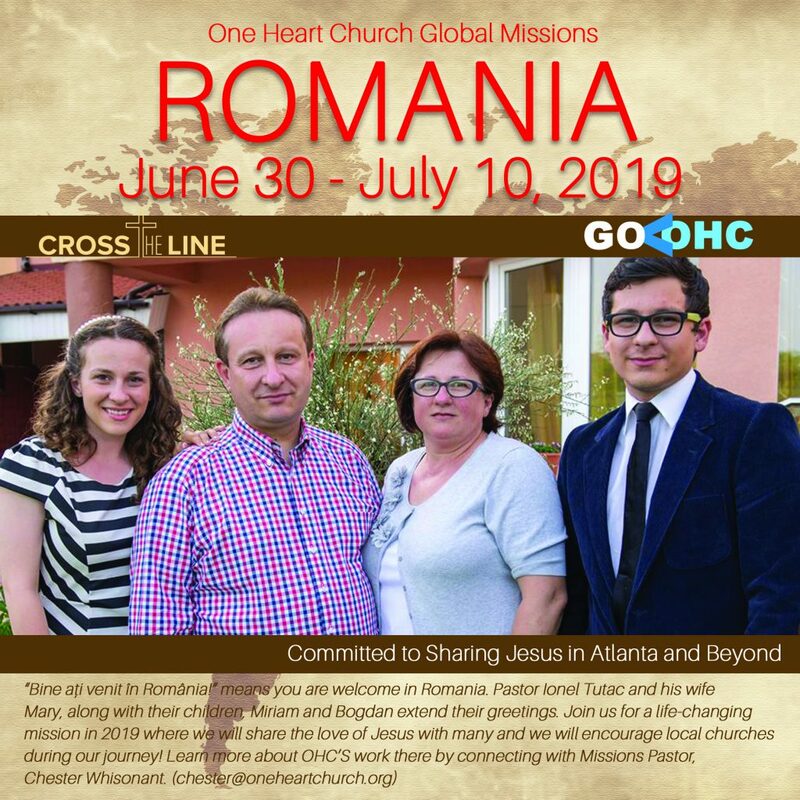 OHC is proud to partner with the Hungarian Community Church of Georgia by providing them resources to help monthly worship and outreach to the Hungarian community here in the Norcross area and beyond. You can serve as a monthly host for this wonderful congregation. We are excited to continue on a new missions journey in 2019 by serving apartment complexes within minutes from our front door. Our desire is to provide OHC members an opportunity to share Jesus by making meals, packing school supplies, conducting community events and many other things. Be on the lookout for excting events planned in 2019. Norcross Christian Academy is a ministry of One Heart Church. At NCA we create a safe environment that allows preschoolers to discover and learn the way God has created and gifted them to learn. The types of experiences provided in the preschool years guide children to their earliest feelings and attitudes toward faith and spiritual transformation later in life. We focus on what is best for your child and do our best to provide them with a quality, memorable school experience. Morning Center was founded in 2011 as a project of Samaritan Ministries International, a 501(c)(3) Christian charity and seeks to provide Gospel-centered prenatal through postpartum care to women at risk of abortion in urban and under-served areas, at no charge, in the Name of Jesus. Our desire is to return charitable maternity care to a private patient-centered model. Through true Christian charity, Atlanta Morning Center is a grass roots effort funded by individuals, families, churches, and other like-minded organizations and does not accept any government funds. Atlanta Morning Center was begun as an intentional collaboration with Georgia Right to Life and is the next integral piece in the pro-life ecosystem. OHC is anticipating taking the following trip but is always open to anywhere God may call us. We are concentrating further prayers for Tanzania and Guatemala in hopes of returning with teams there also. 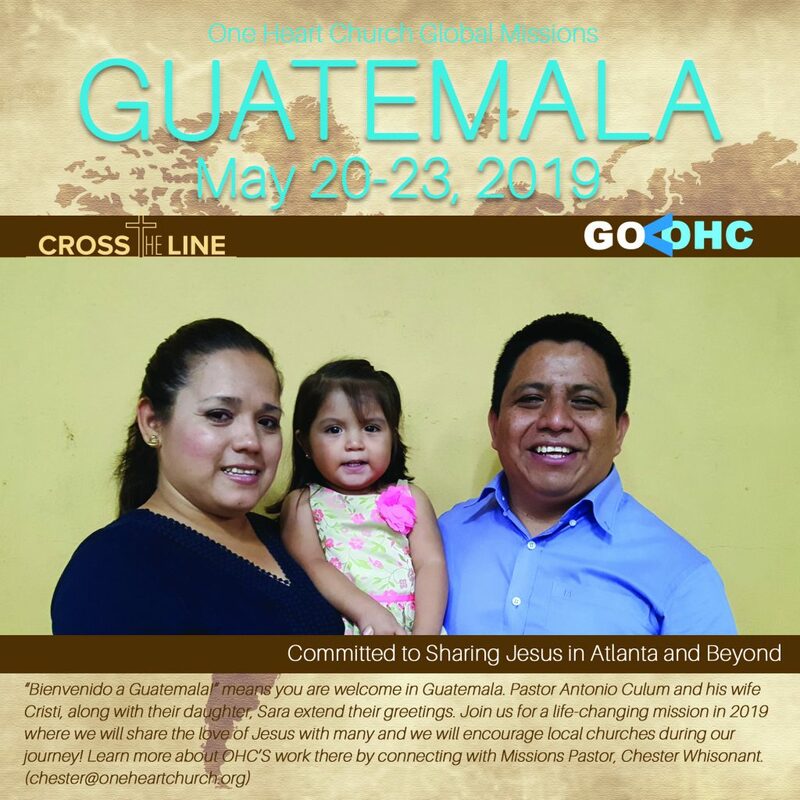 Click the button below to register for one of One Heart Church’s 2019 trips. We are excited to open up the country of Guatemala for missions travel and an exciting mission trip on May 20-23. We will work with OHC Missionary, Pastor Antonio Culuum to encourage him and see his ministry at work. We will share Jesus with the sweet people of that country. Click here to donate to someone going to Guatemala. with hundreds of orphans and also children in small villages. During our ten day trip we will work in the major city of Timisoara with children and local church leaders. Will you consider going? Click here to donate to someone going to Romania. Chester Whisonant at chester@oneheartchurch.org or call (770) 861-6914.